I’ve uploaded some shots of 35028 on her farewell tour on 30th June 2015 to YouTube. These shots will be included in new Clan Line programme that I’m currently working on. It is a retrospective of her exploits since 2007. Much of the footage has appeared on Steam Age programmes already, but there are a few new shots, some others have not been available on High Definition Blu-ray before, and it has all been re-edited. My pal from TWR Video and I ventured into Lincolnshire yesterday to witness A4 pacific loco 4464 Bittern on the last of her three high-speed runs. It was rather a long way to go for one shot, and we lengthened the odds of getting a good one by chosing the famous stretch on Stoke Bank where Mallard set her world record. Even if she was on time, she’d pass us a good 20 minutes after sunset, and the weather forecast suggested a cloudy evening, but what the heck?! We found a good open stretch of embankment just north of Swayfield, and the cloud to the south-west looked quite broken, so we gambled on a silhouette. For once, fortune favoured us. According to a friend on board, she reached 92 mph just around here. Here are two frame-grabs from the video. I won’t post more at the moment, because it might be included in OVP’s production, The Need For Speed, and I don’t want to steal David’s thunder. It’s quite satisfying to have finished all five volumes of Mainline 2012 by the start of September. I’ve struggled to finish the last 2 years by the following December. I’ve now started editing The Great Britain VI. It looks like it will need 2 discs – TWR filled 5 tapes, and I shot 4. I contributed a few shots from Day 2 to Graham Briggs for his GB6 DVD (GB Productions web-site) so I have some footage from his cameramen to include, including a wonderful shot of 60009 at Cove Bay, just south of Aberdeen. V0l 55, Southern Locos is ready to ship, and I’ve just put a 6 minute excerpt on YouTube, showing Tangmere hauling the Bath & Bristol in December. Vol 56, Great Western Locos is also ready to roll now. There are 2 excerpts on YouTube: Steam Railmotor on the Liskeard-Looe branch and Earl Of Mount Edgcumbe at Culross. I’ve “remastered” Volume 28: The Great Britain II to produce a Blu-ray disc. When I produced the original, I cut the footage down to 90-minutes to fit onto a DVD without excessive image compression. With the greater capacity of Blu-ray, I’ve restored most of the missing footage and the running time of the Blu-ray version is a little under 2 hours. Vol 53, BR Standard Class 7 locos – Oliver Cromwell’s third full year on the mainline and Britannia’s first since overhaul. Vol 54, 3-Cylinder Pacifics – Duke of Gloucester, Tornado and Bittern running as Dominion of Cananda. It’s now time to archive the files, clear the project from my NLE program and return to 2012 footage. Looking at the number of camera tapes my chums and I have used up, there’s not quite so much material to work through as the previous year. There’s some good stuff in there, though, including winter Cumbrian Mountain Expresses, summer Wemouth Seaside Expresses and Royal Duchies, Christmas Cathedral Expresses and more from our visits to Scotland in the spring. I’ve just put the finishing touches to The Great Britain V. It has produced two well-filled discs. Part 1 covers The first 4 days, from London to the west coast of Scotland. For three of those days, the train was split into two parts. Scots Guardsman took one half to Inverness via Aberdeen, then 45305 took it to Kyle of Lochalsh and back. Meanwhile The Great Marquess took the other half to Fort William and Mallaig. Passengers were driven between Mallaig and the Kyle, and vice versa, so they got to ride both routes in one direction or the other. Part 2 starts with a return trip from Glasgow to Stranraer, then follows the long trip south, via the Glasgow & South Western route via Dumfries to Carlisle and the Settle & Carlisle line to Preston, on via Shreswsbury and Abergavenny to Bristol, then Plymouth and Penzance. After returning to Bristol behind a diesel, the final day took the tour to Gloucester (in pouring rain) and back to London. I can now return to Mainline 2011. I have LMS, LNER and BR locos to cover yet. I’ve not decided how to group them. There might be enough material for three discs, but if there’s only enough for two, I might divide it into Winter/Spring and Summer/Autumn. I’ve just uploaded a new video to YouTube, showing T9 30120 on the Severn Valley Railway on Sat. 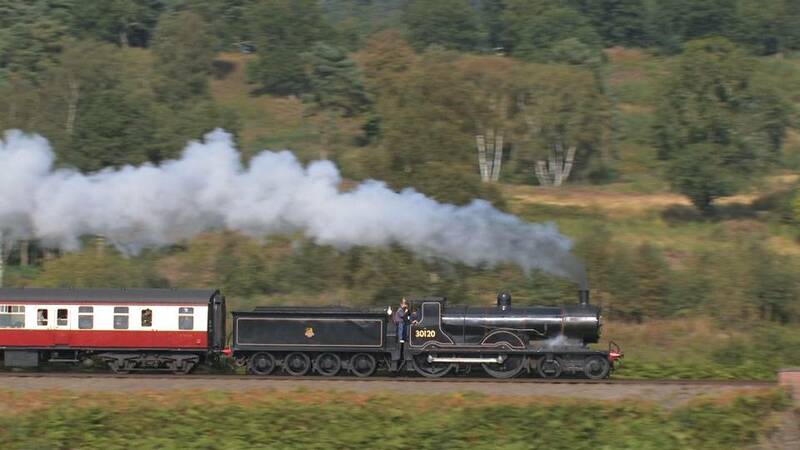 22nd Sept, during their Autumn Gala. It’s in geographical order, showing three shots between Bewdley and Foley Park Tunnel, but that means it’s in reverse chronological order. It also means that the best shot is saved for last. The loco catching a lift on the back of the train in the last shot is GWR Pannier Tank 3650, from Didcot Railway Centre. 30120 is part of the National Collection and is currently in the care of the Bodmin & Wenford Railway. I’ve finished Volume 49, The Cathedrals Explorer 2012. Michael Field’s footage fits very well alongside my own. Work is well advanced on The Great Britain V. Looks like it will need two parts: Part 1 will cover days 1-4, Part 2 days 5-9. I have to put 2011 aside for the next few months, since I’ve promised to work on this year’s Great Britain and Cathedrals Explorer tours. I’ve just finished Vol. 49, The Cathedrals Explorer, which features some footage from a new contributor. Michael Field has been one of TVP’s Scottish correspondants for a few years. I met him on a couple of rain-drenched Highland hillsides this spring and we agreed to swap footage. Hopefully, GB V will follow in a month or two. We didn’t manage quite the same comprehensive coverage of GB IV as for previous Great Britain tours, but even so, we recorded something worth publishing on each day that they used steam haulage. 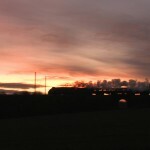 SR & GWR locos – Sir Lamiel, Clan Line, two winter GW tours with 6024 and 5043. BR & LNER locos – Oliver Cromwell, Duke Of Gloucester, Bittern, Tornado, Sir Nigel Gresley. 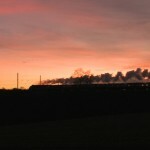 LMS locos – Princess Elizabeth, Scots Guardsman, Duchess Of Sutherland, 48151 and rather a lot of Black Fives! GWR 175 is selling well. Part 1 (1 hour 15 minutes) covers February to June, including the record breaking recreation of The Bristolian in April, pannier tank 9600 banking 6201 Princess Elizabeth on the Lickey Incline, and Steam Dreams’ 2-day Cornish Riviera Express in June. Part 2 (1 hour 25 minutes) covers July to October, featuring 9600’s trip to Princess Risborough and Chinnor, 9466 on the Looe branch and Earl Of Mount Edgcumbe storming over the Settle – Carlisle line. 5043 at Selside; 5043 crossing Whalley Arches; 9466 on the Looe branch; 9600 at Aynho heading for Chinnor. I’ve mentioned this before, I know, but The Great Britain III, during April 2010, produced some splendid sequences of which my colleagues and I are particularly proud. If you’ve not already done so, please have a look at the samples on my YouTube site.